Precisely records the number of drops of titrant added during a titration and then automatically converts it to volume. Conducting a titration has never been easier. Use Go Direct Drop Counter in conjunction with our other Go Direct sensors, such as Go Direct pH, Go Direct Conductivity, or Go Direct ORP, to perform acid-base, conductometric, or potentiometric titrations. 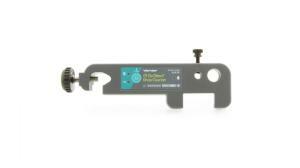 Designed with a wide drop-detecting area, Go Direct Drop Counter removes the need for precise burette alignment. We’ve also included a large sensor slot for conventional stick-style sensors and a smaller, adjustable slot for temperature probes. The adjustable clamp easily fits our Stir Station and most laboratory ring stands and lattices. 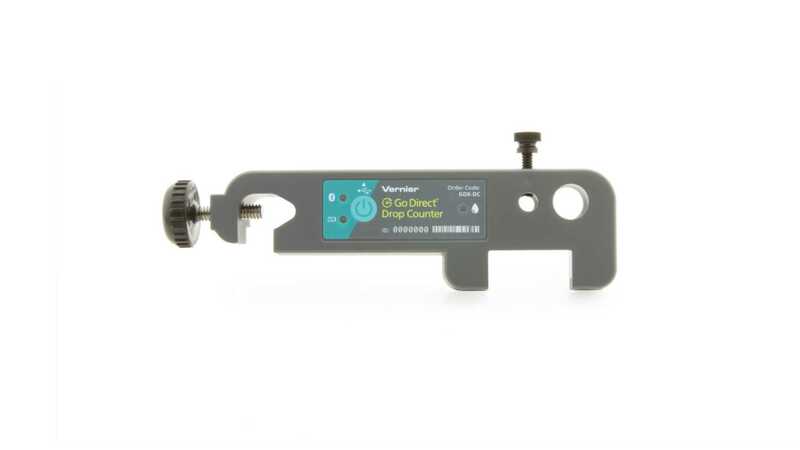 Our Go Direct™ Drop Counter connects directly to your mobile device, Chromebook, or computer using our free Graphical Analysis™ 4 app—no additional equipment or software purchases are necessary. Go Direct sensors can be used wired via USB or wirelessly via Bluetooth, allowing you to choose the solution best for your classroom or laboratory.